Burkina Faso (formerly Upper Volta) is a landlocked country in West Africa, a former French colony. The name of this not very popular country means “land of honest people”. Burkina Faso is one of the world’s poorest countries and its economy relies heavily on international aid and the large number of expatriates. The diseases, mainly AIDS and the lack of free health care results in low life expectancy and high infant mortality. The education is actually not free and the meager income of the average population does not allow basic education in just 30% of children. No remarkable river crosses the country and drought weakens the poor agricultural production which employs the 80% of the population. 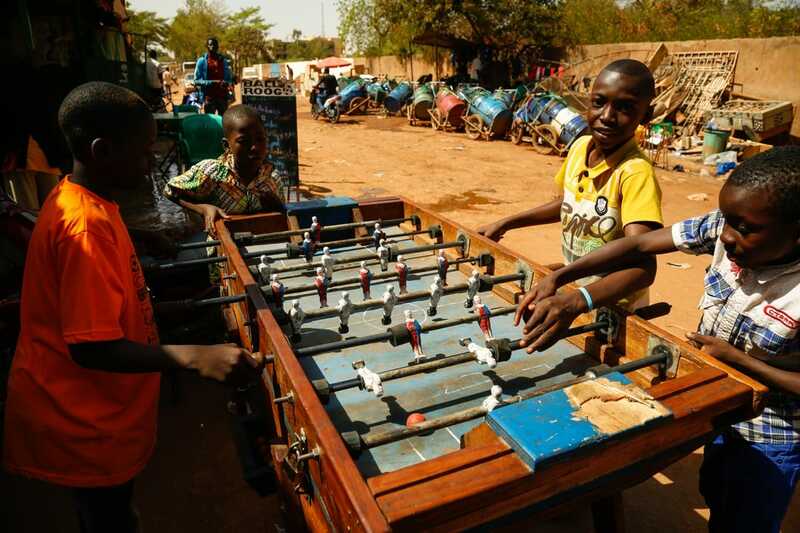 The Burkinabe are friendly people, although the country’s name is not borne by the residents of the capital. But the difference was large in Bobo Dioulasso, the second largest city. Because of its commercially important position in the south of the country, enjoys a little better standard of living and a touch of colonial atmosphere. Burkina Faso was until recently one of the safest countries in Africa, but the terrorism hit here too, imported from the troubled Mali, with a deadly terrorist attack that occurred having Westerner victims, with civilian abductions and military attacks. Apart from the unique name of the country, vocabulary is enriched by cute city names. With an unbelievably wrecked truck full of people, carrying supplies and live goats that were peeing over our heads, we arrived on that New Year’s Eve at the border post coming from central Mali, into the dangerous “red zone” of islamist rebels. A no man’s land extends across the borders of the two countries. We were not greeted by anyone at the border post of Mali, which was … perforated by bullets and abandoned after a deadly attack. No one existed to put an exit stamp in our passports. On the contrary, in Burkina the army was everywhere, as every dictatorship that respects itself has to do. The bus stops were at least every 10 km, and that was even more intense at the southern border, happeninge every 500m. Ouahigouia – don’t ask me how it’s pronounced – is the first town after the border, where we arrived exhausted, needing some relax on that New Year’s Eve. The first day of the year is not specially celebrated in this Islamic country so we initially just enjoyed a good dinner at the hotel. Suddenly, a dozen of soldiers arrived to guard us, after having registered our passports. Half of them occupied the adjoining rooms and the rest of them the entrance. This was not repeated elsewhere in the country, maybe because the border area of Mali is on high risk of terrorism and kidnapping. However, the presence of the guards was pointless, as we decided, despite the privilege, to have a night out in town, having fun at local African disco. Outside the club entrance were full of parked motorbikes, inside there was a dance floor typical of the ones we had in the 80s, with strobe lights, loud distorted sound, and young children with sweaty black skins performing their show-off dancing abilities. The bar behind a cage serves 750ml beers, mainly to men. Maybe no other pale skinned guys had crossed before the threshold of this grooming bar and as expected we were the highlight of attention. I am not a special fan of dance, especially West African and my ignorance of French combined with loud music, ruined the possibility of communication, but the experience was superb, yet another unique New Year’s celebration… In the morning we find ourselves on the way to the capital of Ouagadougou. We found a beautiful hotel with artistic installations in the garden and with more tourists as guests. A local friend named Rasmane, came to meet and accompany us for a while on our city walk. A city without much interest besides the many concrete buildings of particular architecture. Among other things, the Grand Marche, the city’s central market built with traditional bricks as a dominant material, designed by Swiss architects under support of the Aga Khan Foundation. Among the “sights” is the point of the tragic terrorist attack at the Cappucino restaurant and the Splendid Hotel where 30 people lost their lives. Also the parliament that was put on fire in the 2014 revolution and a burned-out car is kept in the courtyard as a reminder. The locals, at least in the capital, do not confirm the name of the country which means “the land of honest people”. Wherever I turned my camera to capture a building, a passerby came and demanded money because he was in the frame. At sometime I came so fed up that I was about to smash my camera on someone’s head. The night walk was not very interesting and the city has no central neighbourhood to walk around. Felt quite safe though, regardless the dark empty roads. The following afternoon we searched around for a night bus to the second largest city, Bobo-Dioulasso. The bus stations of many private companies are not in one place but are scattered throughout the city. In most of them there was a queue extending up to the road for a long distance. With the taxi trapped in traffic chaos, we finally managed to find a company a bit more expensive but with new vehicles. This, of course does not mean much in Africa. At around 3 in the morning, the bus stopped in the middle of nowhere, not the safest thing in such a place. We were informed that we run out of fuel! We should wait till next day for the refueling! No one complained about the incident. After all, time is of no particular value in this continent. After an uncomfortable sleep on the bus, sometime in the morning we refilled and continued our route. Bobo-Dioulasso does not look like Ouagadougou at all. The environment in the small town is more enjoyable, there is a little more green, the distances are walkable and – most importantly – people are friendly and polite. Arriving exhausted from our longer than normal journey, we searched for accommodation. Found some basic rooms and slept for less than two hours, then we decided to move again. We found two airbnb rooms in a beautiful villa, with wooden floor, swimming pool, surrounded by dense vegetation. All at very low prices. In the center of town dominates the great mosque, mud made but in a different style from that of neighboring Mali. Inside the mosque, many pilgrims enjoyed a sleep in the cool bioclimatic construction. We stepped on the roof among the peculiar pyramid-shaped minarets with the protruding wooden beams. There, in the city center, social contrasts were so intense! Just a short distance from the quiet cafes and few modern hotels, lies a neighborhood in absolute poverty. In an adjacent stream that smells like a drain, women and children wash their clothes, naked kids play in polluted sewage and rubbish. Among the mud houses of the village, we are invited in a house where some pagan ceremonies are carried out including chicken sacrifices. In that shocking poverty, some women take care of their grooming and hairstyle. The heat is unbearable, the dust stuffy, roaming around a central market similar to that of Ouagadougou. The small cafes and a decent hotel with pool view offer moments of relaxation and a satisfying menu. The next day is dedicated to a visit at the village of Banfora, a starting point to the special landscape of the surrounding area. 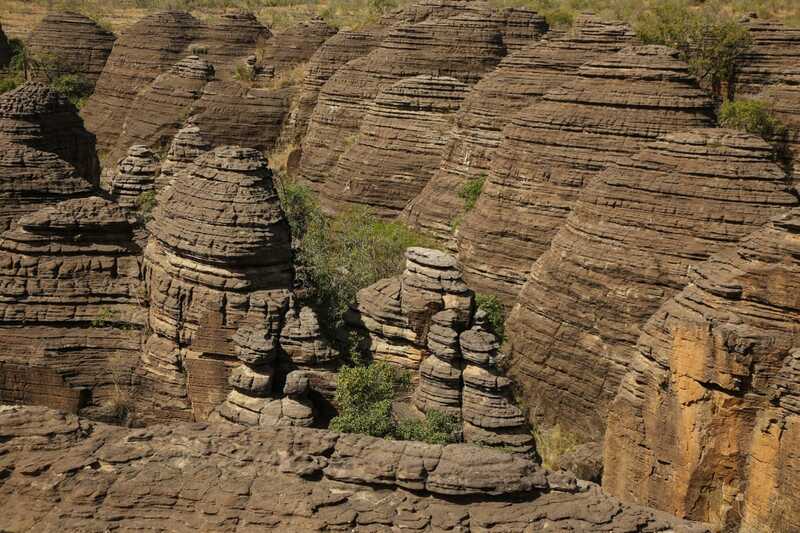 We rent two mopeds together with a driver to navigate through the African savanna, finding Sindou Peaks, the impressive geological formations worth to climb and enjoy the panoramic view. Nearby, the Karfiguéla waterfalls are one of the country’s main attractions. They may not be the most impressive on the planet, but they still consist of a rare sight in the rugged African landscape and a delight of dew for the few visitors. Unfortunately, boat rides in the river is no longer taking place, as there had recently been a lethal attack by hippos. Returning to Bobo-Dioulasso we will enjoy a few more moments of our short visit to that unknown but authentic West African country. 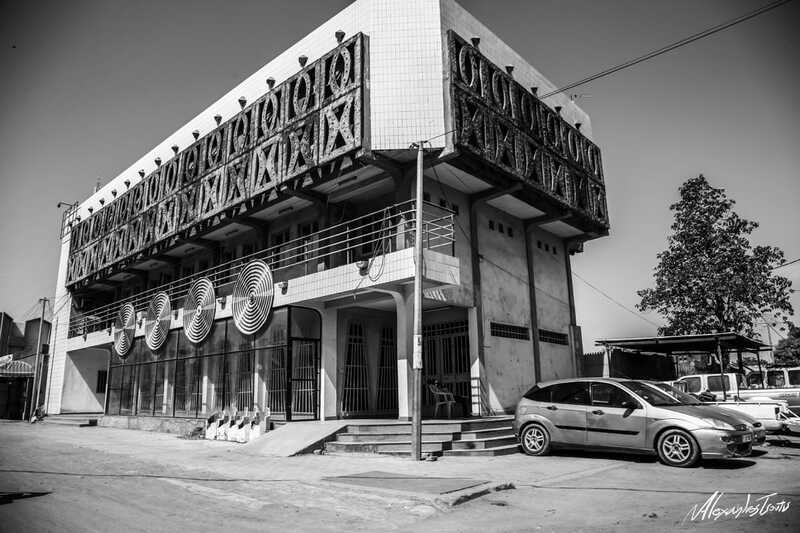 The bus to Bamako, Mali, will be followed by a torturous 10-hour drive on the rugged road, with countless stops for passport checks as we approached the border.